Only Sleepyhead Sanctuary features the patented Sensorzone® design – our best sleep system, made right here in New Zealand. Sensorzone® combines the comfort and support of a traditional mattress into ONE integrated sleep system. Unlike other systems the springs and Dreamfoam in the Sensorzone® system work in unison to absorb any pressure and are never fully loaded. Combinations of new foam technology like Graphene and FusionGel work together to provide an ideal sleeping temperature. 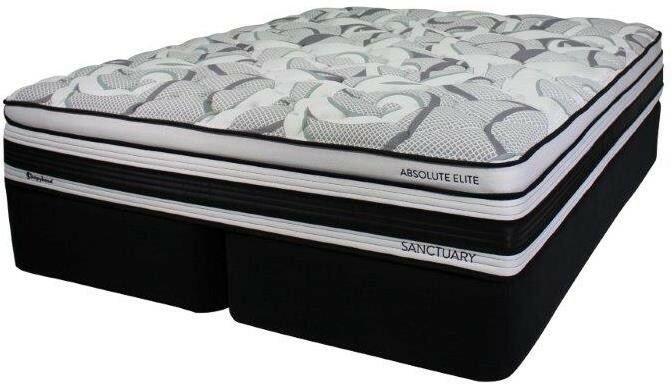 The Sensorzone core and unique foam technology work together to ensure there are no pressure points on your body when sleeping which improves circulation and spinal alignment. Sanctuary Absolute 15: Medium / Soft Feel. Soft foam, Graphene and Visco Gel comfort layers. Less Graphene and Visco Gel than in the ELITE. Medium foam, LGU Latex and Visco Gel comfort layers. Sanctuary Deluxe 15: Firm Feel. High density foam, and Visco Gel comfort layers.